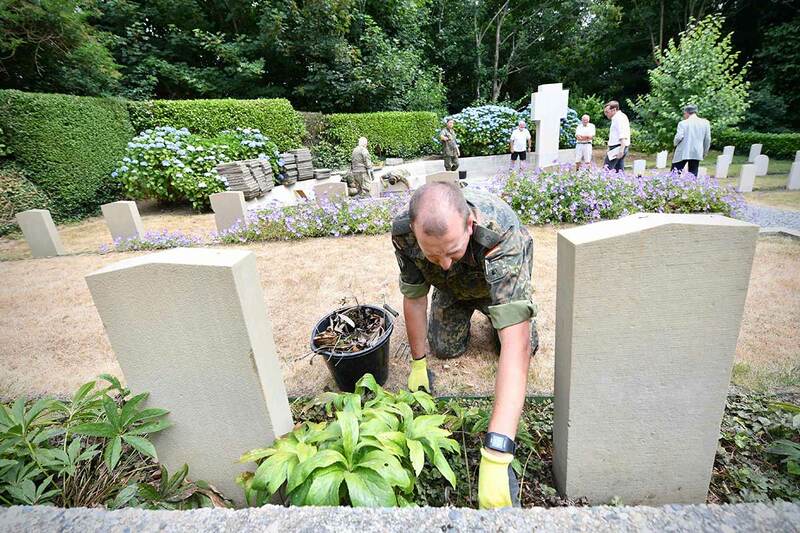 Former enemies, now allies, British and German soldiers have come together to work on a unique project on the Channel island of Guernsey – restoring the war graves of military personnel who died on the island during the Second World War. 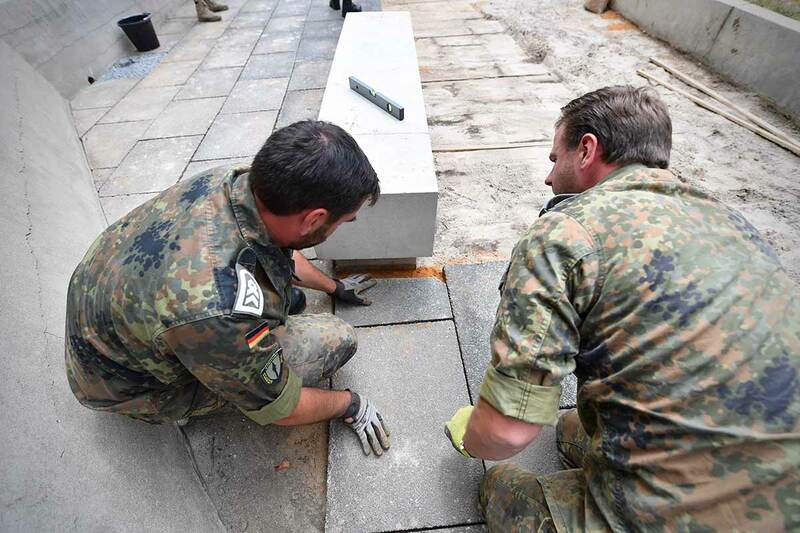 It is the first time the German military has returned to Guernsey in uniform since the Nazi occupation of the Channel Islands that lasted until 1945. 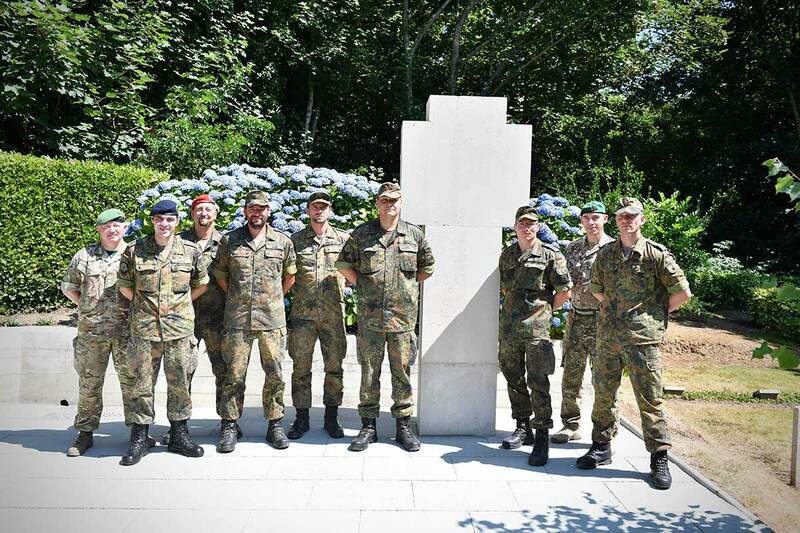 The troops serve with NATO’s Allied Rapid Reaction Corps based in Gloucestershire and were invited to work at the small military cemetery at Fort George on Guernsey’s east coast, which includes 111 German war graves. The visit was organised by the Volksbund (VDK), the German War Graves Commission. German Captain Sebastian Kühne from the Allied Rapid Reaction Corps added, “When we arrived on Guernsey we had a very warm reaction – so many people supporting us and they offered their spare time to help us with our endeavours, providing us with tools, and showing us around the island. 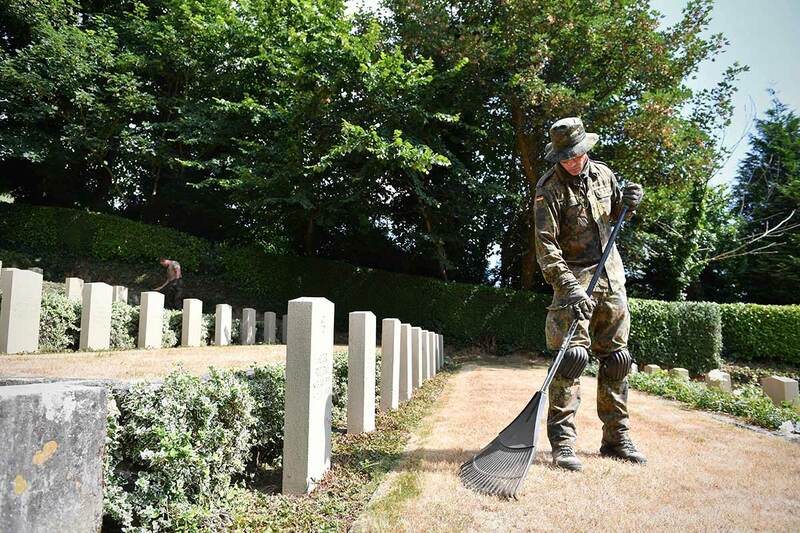 The NATO soldiers set to work pressure washing and repairing the headstones under the supervision of experts from the Commonwealth War Graves Commission. 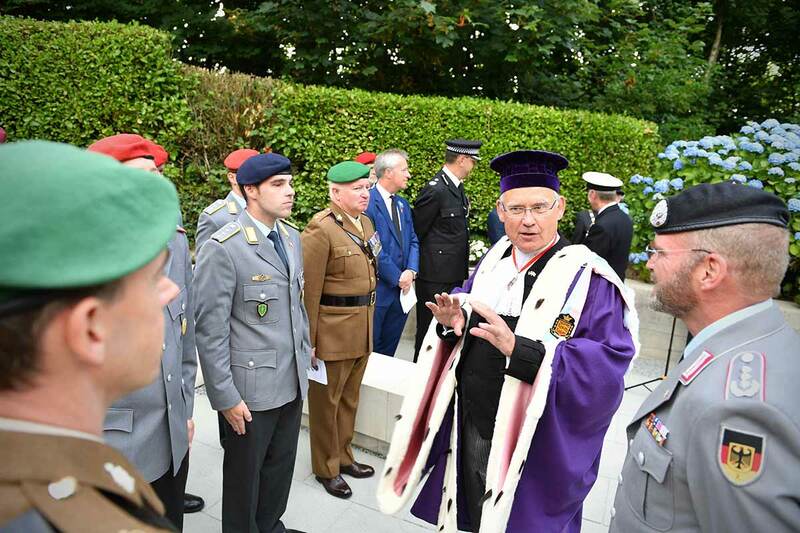 The two-week exercise concluded with a rededication ceremony involving the Lieutenant-Governor of Guernsey, British and German veterans, as well as a number of local islanders. German businessman Johann Andreas Werhahn whose father had served as a corporal during the German occupation had travelled from northern Germany just to be part of the event. He said: “I’m thankful that my father came back home. He rarely spoke about the war, but he told us he was in Guernsey. 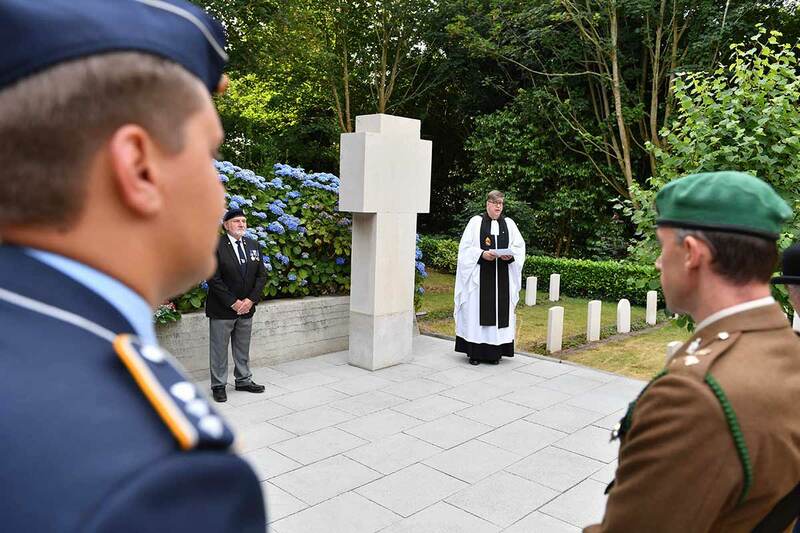 The Service ended with the laying of a special wreath incorporating both the Poppy and the German flower of remembrance, the Forget-Me-Not – symbolic of the common bond that unites rather than divides today’s generation of NATO soldiers. The Guernsey Press story “German soldiers taken aback by islanders’ warm welcome” (PDF).